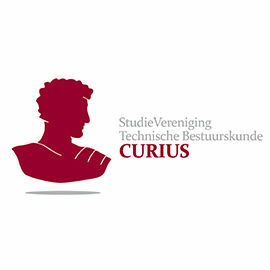 Curius is the study association of the faculty of Technology, Policy and Management and exists to represent the interests of all students studying at the faculty. Almost every student of the faculty is a member. The core of the association is about 17 committee with students organizing study-related and social activities. Curius is also involved in the quality and improvement of education, and acts as an intermediator for the student. Curius also sells books.